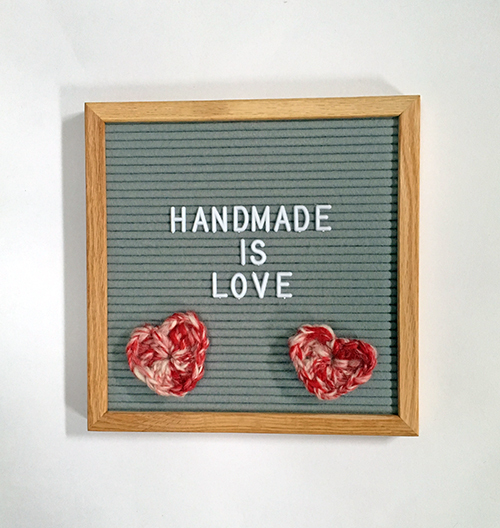 Looking to add a handmade touch to your Valentine’s Day? 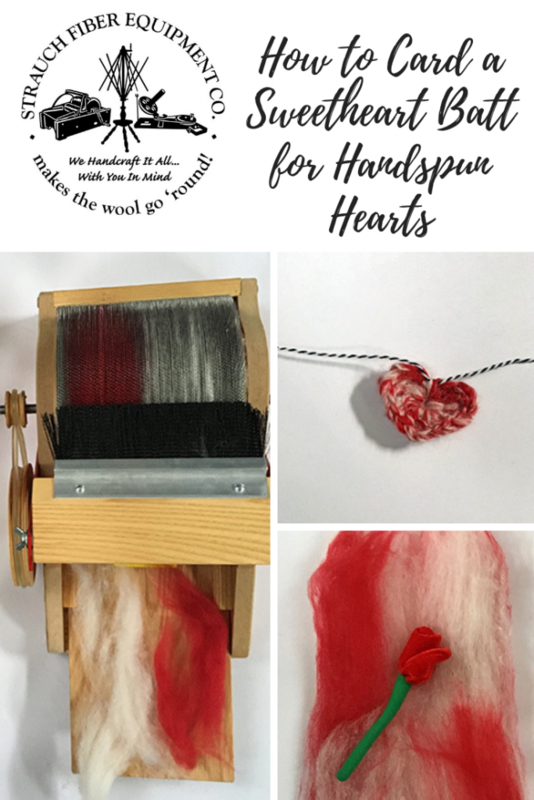 There are lots of free knitting and crochet patterns for making hearts for your sweetheart, and today, we’ll not only show you a quick & easy batt project to whip up for the occasion, we’ll also share some of our favorite patterns and a few fun ideas for decorating with handspun hearts. Let’s get started! 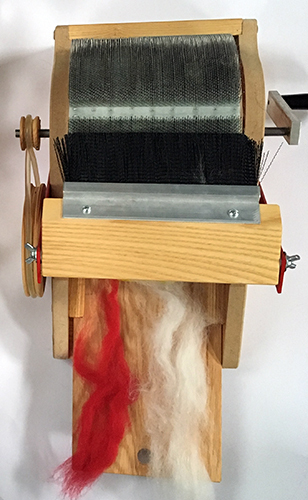 Once you have processed half of both fiber colors, flip the placement of colors as you feed the remaining fiber through your drum carder. 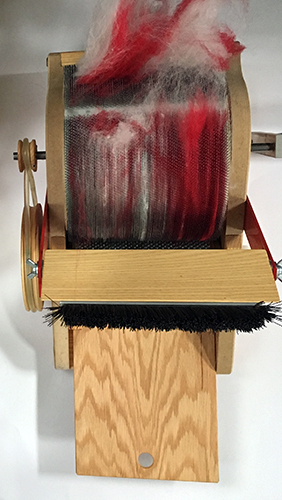 This will ensure that you have a little bit of each color in your yarn as you spin with it. Attach to lapels or backpacks with safety pins. 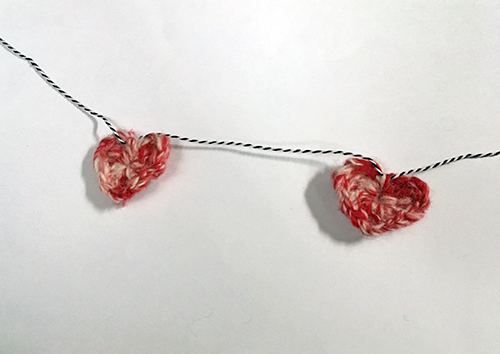 Use a few drops of fabric glue to add to a Valentine’s card. String together to make an eye-catching garland (shown above). Use twine, ribbon, or yarn to hang up as ornaments. 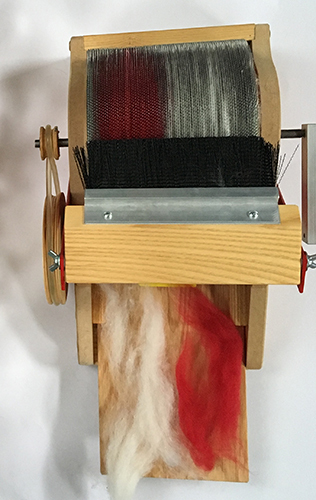 We hope you have a sweet Valentine’s Day celebration, and would love to see your handspun hearts, too. Share them with us on Instagram and don’t forget to tag your post with #strauchfiber! 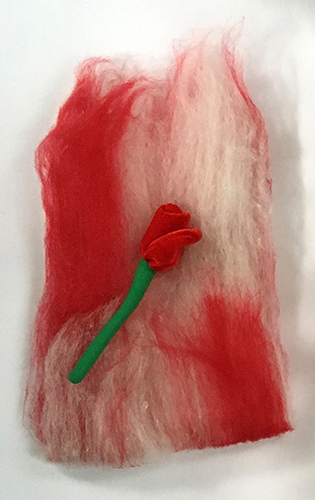 This entry was posted in Carding, Handspinning, Inspiration, Tutorial and tagged crochet, drum carding, handspun, holidays, pattern inspiration, tutorial, valentine's day. Bookmark the permalink.